Animated films for kids usually fall into one of two groups. Either they’re made as much for adults and are full of meta humor and jokes that go over a child’s head, or they’re aimed squarely at the young viewers and leave a parent fighting to stay awake. It’s rare to see something actually attempt to thread the needle. Elliot: The Littlest Reindeer actually is that movie. It’s 100% a kid’s flick, but it makes attempts to engage the viewer. Some solid voice performances and a charming nature help make it just cute enough to recommend. An Oscar contender, this is not, but it’s amusing stuff. 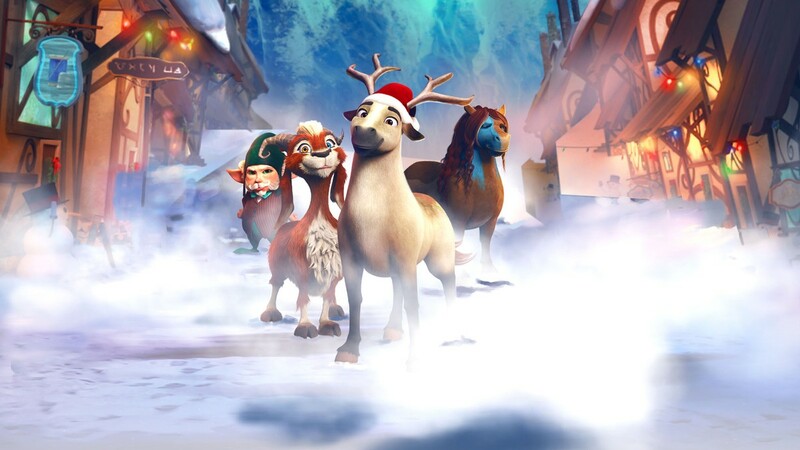 The movie is an animated adventure about the contest to replace one of the reindeer that Santa Claus (voice of George Buza) uses to drive his sleigh. When Blitzen announces that he’s retiring, only three days before Christmas, the rush is on. For miniature horse Elliot (voice of Josh Hutcherson), it’s a chance to fulfill his lifelong goal of joining Santa’s team. After getting snuck in to the North Pole try-out sessions by his best friend Hazel (voice of Samantha Bee), he’ll have his chance. As Elliot attempts to prove his worth, while also hiding the fact that he’s a horse, Hazel discovers a plot to ruin Christmas. Of course, it all leads to some epic heroism, since that’s the name of the game. Jennifer Westcott writes and directs, while other voice talent on hand includes Morena Baccarin, John Cleese, Jeff Dunham, Martin Short, and more. A children’s tale through and through, there are just enough sparks of originality to make an adult smile. A lot of that has to do with the voice cast, in particular Samantha Bee, who dives into this part with arms wide open. A lot of times, even in higher profile animated flicks, you can tell that it’s a paycheck gig for the actor or actress. Bee doesn’t give you a whiff of that, making her a voice actress to watch, on top of being one of the best political late night hosts in the business. The animation may be a little simple, but it fits for this admittedly simple story. 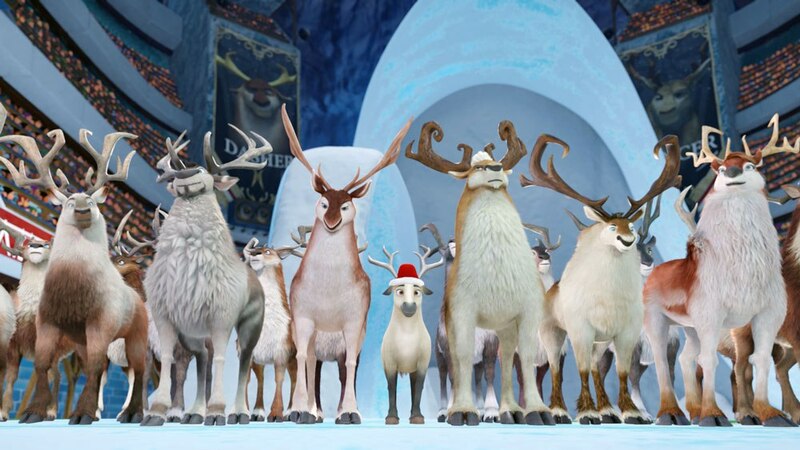 As much as Elliot: The Littlest Reindeer has the capacity to make you smile, it also will prove to be an also ran in the Best Animated Feature race. That’s simply a fact of the matter. It just won’t be able to stand up to the higher profile Academy Award hopefuls. That’s not a knock on this one so much as stating that things like Incredibles 2, Isle of Dogs, Ralph Breaks the Internet, and (supposedly) Spider-Man: Into the Spider-Verse are just above and beyond. This will just have to settle for finding some young fans, as opposed to older Academy members who embrace it. Any movie that features Colin Firth and Rachel Weisz should immediately be on your radar. Especially when it’s a classy biopic, which they’ve both been involved with before, to rave reviews. Unfortunately, The Mercy not only likely hasn’t been on your radar in the slightest, it sadly doesn’t especially deserve it either. This is the reason that the two and a half star review was invented. It’s the epitome of decent. Strong work by both Firth and Weisz can’t overcome sluggish pacing, a lack of forward momentum, and a sense that the mystery on hand isn’t all that interesting to solve. Alas. The film is dramatized look at the true life story of Donald Crowhurst (Firth), an amateur sailor who notably competed in the 1968 Sunday Times Golden Globe Race. An experienced sailor, he entered the competition hoping to end up becoming the first person in human history to circumnavigate the globe single handedly, without stopping once. In financial trouble, Donald ends up participating with an unfinished boat in the Teignmouth Electron and literally needing the money that winning the contest provides. With no other choice in his mind, he steps off, leaves his wife Clare (Weisz) and their children back on land. Anyone who knows why this story is worth telling will know how it ends, but there’s some mystery in seeing how it ultimately gets there. James Marsh directs a script by Scott Z. Burns, while supporting cast members include Mark Gatiss, Simon McBurney, Ken Stott, David Thewlis, and more. Eric Gautier provides the cinematography, while the late Jóhann Jóhannsson composed the score. Colin Firth and Rachel Weisz very nearly drag this one over the finish line. The movie falls just short of where it needs to be, but that’s not for lack of effort, especially on Firth’s part. He does generate a solid amount of sympathy in portraying this desperate man, though it ends up being not quite enough to sell the whole thing. Burns’ script needed more meat on its bones, while Marsh doesn’t bring enough visual flair to keep you from noticing that shortcoming. They’ve all done better work before, and likely will do so again in the very near future. While Firth is likely to sit this one out, Weisz is in the thick of the awards season for The Favourite. Neither will get any attention for The Mercy, though admittedly they’re very good here. This was definitely designed with potential Oscar attention on the mind, but the overall quality just isn’t there. Both already have Academy Awards on the mantle (Best Actor for The King’s Speech and Best Supporting Actress for The Constant Gardner, respectively), so they’ll certainly be fine. In fact, one can argue they’re both due for more attention from Academy voters. It just won’t be from this project, is all. The Mercy is just shy of being a recommendation worthy film. A little more forward momentum in the story and it would have been there for me. Firth and Weisz certainly do their part. If you’re fascinated by the story of Donald Crowhurst, it’s hardly a bad telling of his life, it just leaves you wanting more. 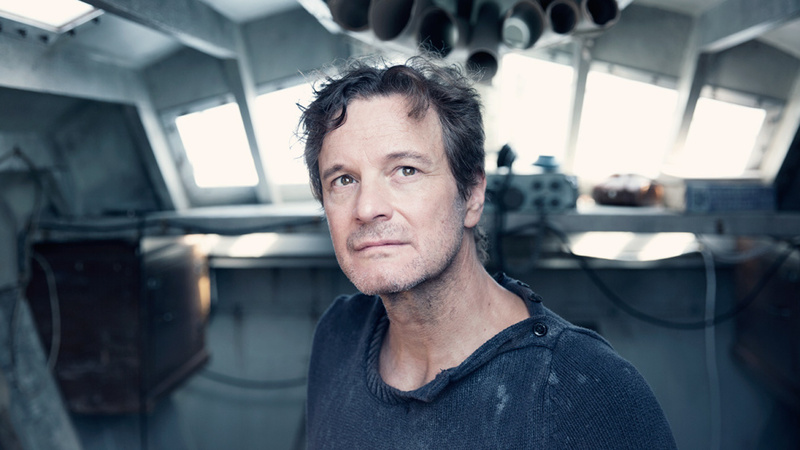 Firth in particular is compelling to watch when alone on the screen, but the story itself falls short. Burns and Marsh are talented storytellers, so this is a definitely disappointment in that regard. Feel free to seek it out and decide for yourself, though in my humble opinion, it should have been better than it ultimately turned out. Both films hit theaters this weekend!